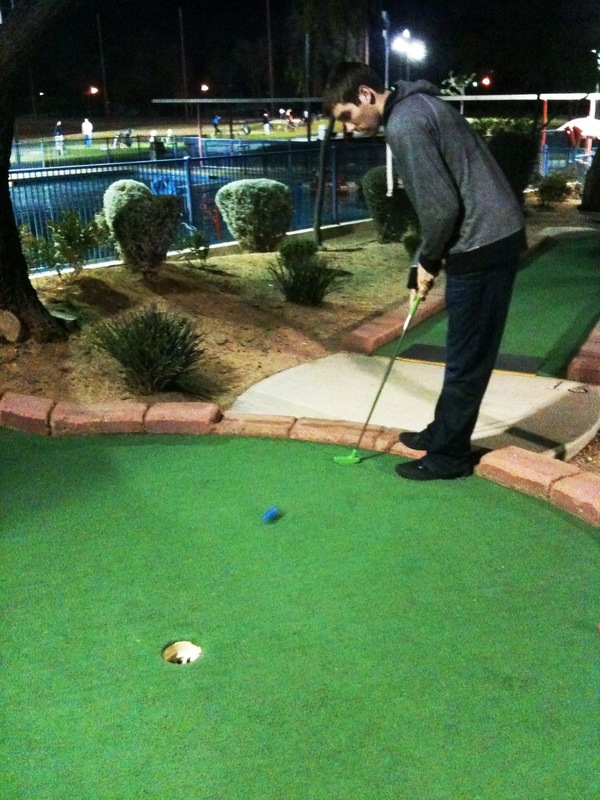 Apparently I have the hidden skill of mini-golf master. Of course, as soon as I post this, my skill will probably disappear into thin air, never to show again. Lets hope that doesn't happen! 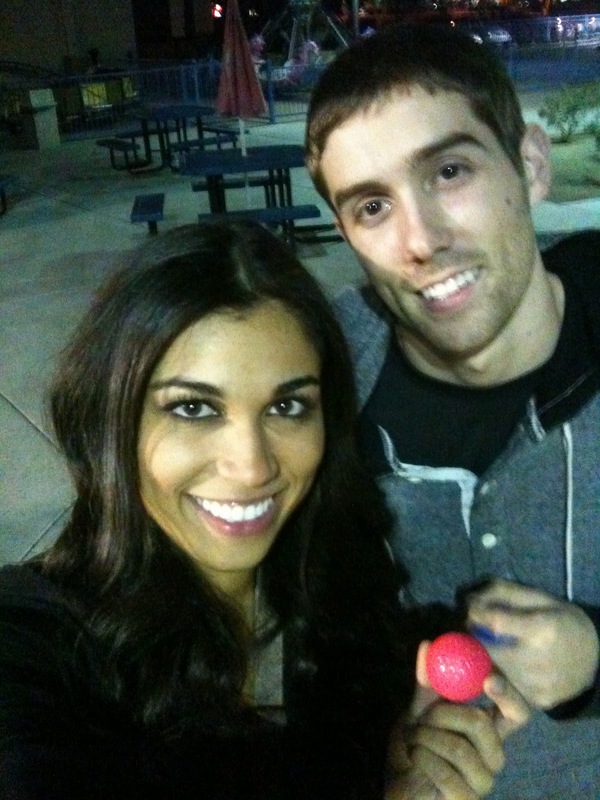 Chris and I went to Fiddlesticks Family Fun Park over the weekend (which just sounds like a good time) and had so much fun! Somehow, I managed to beat him in BOTH games we played. 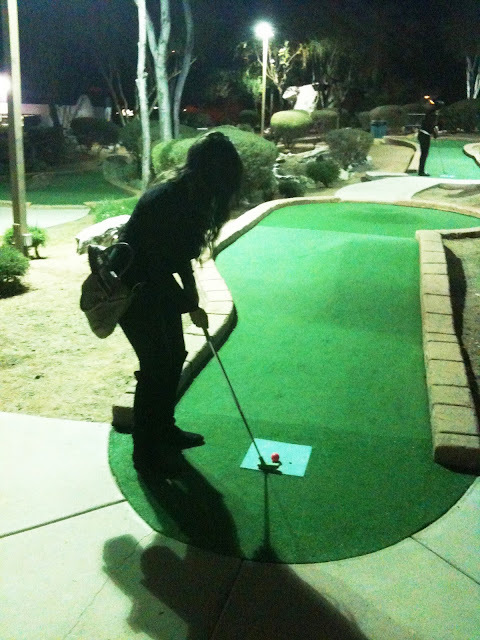 They were definitely very close scores, and the last game came down to the 18th hole before I was crowned champion. Some may call that luck. I call it pure skill. Fiddlesticks also has go-kart racing, a batting cage and driving range. I suggested we come back to the driving range because clearly I was born to golf, but got a very loud, very sarcastic 'HA' in response. Apparently he doubts that my skill goes any farther than putting neon balls past child-like obstacles (says the guy who hit it into the water). I still think I could give him a run for his money.